Hardcover, 10 x 12 in. / 194 pgs / 96 color / 62 bw. Edited with text by Ana María Bresciani, Tone Hansen. Text by Natalie Hope O’Donnell, Russell Ferguson. The work of the celebrated Los Angeles–based photographer Catherine Opie (born 1961) includes portraits of gay and lesbian subjects and American urban landscapes, ranging from large-scale color works to small black-and-white prints. 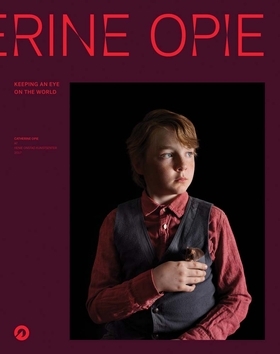 A full survey of her works from the early 1990s to the present, Keeping an Eye on the World is published for Opie's first European retrospective, at the Henie Onstad Kunstsenter in Norway. Limited quantity available. FORMAT: Hbk, 10 x 12 in. / 194 pgs / 96 color / 62 b&w.